For many professional truck drivers, there's an understanding that they probably don't eat as healthy as they should. But with that understanding comes a throwing up of one's hands: Rest stops and diners don't exactly provide the best nutrition options in the world, so when you're facing a tight schedule, what are you supposed to do? 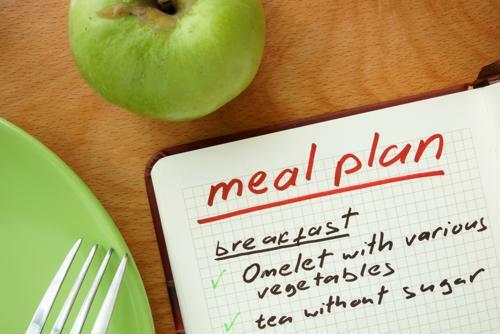 Fortunately, there are plenty of ways to eat healthier without radically changing their routines. One of the simplest things to do when trying to improve one's diet for a life on the road actually comes in beverage form, according to Life as a Trucker. Drivers drink a lot of coffee and soda on the job, usually for the caffeine boost. Switching to either hot or iced tea is a much healthier option. Moreover, replacing sodas with seltzers or spring water is a good idea in general, as is making sure to drink a lot of water throughout the day regardless of what other beverages are consumed. In addition, drivers would be wise to avoid cramming in big meals in one sitting, instead focusing on smaller portions, the report said. In fact, eating the same amount of food as before over five small meals instead of three larger ones can have some benefits by increasing the body's metabolism. And of course, it's a good idea to avoid fried or processed foods, and consume as many fruits and vegetables as possible. One of the biggest dietary pitfalls for truckers is they also snack between their main meals, and that's not a great idea in general, according to LiveStrong. But even if they're going to continue snacking, better options than candy bars, beef jerky and potato chips exist. Mixing in fresh produce like a banana, apple, baby carrots or celery sticks is obviously a great idea, but so too are protein bars, yogurt and unsalted nuts. This doesn't mean it's bad to indulge in the occasional sweet treat, but these should be infrequent, and perhaps more importantly, in moderation (i.e. only one or two peanut butter cups, and no king-size bars). Experts also agree that the old saying about breakfast being the most important meal of the day is totally true, according to Prime Inc. However, there is a big difference between a drive-thru breakfast sandwich loaded with fats, preservatives and carbs - which can taste and feel great to eat, but not provide any actual health benefits - and instead a smarter, healthier breakfast. Truckers would be wise to focus on morning meals that include oatmeal, fruits, cottage cheese, whole-wheat toast, egg whites and low-sugar/unsweetened cereal or bars, the report said. For the most part, people know what is and isn't healthy to consume, and it's a matter of breaking bad habits to ensure a good plan that can last for months or even years to come. A little studying may help drivers find the best way to improve their diets.